I have tried to understand how E-City relates to the General Plan. We seem to spend a lot of time on logos, catch phrases and what makes Park City Park City. 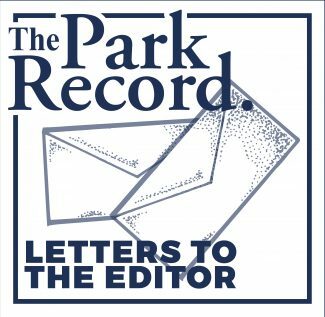 While spending much time on a General Plan of much length those at City Hall seem to have failed to realize how those who make Park City their home came to be here. Yes you titled the section correctly- Neighborhoods and Thaynes Canyon and the first few sentences were good — single family, quiet, residential but then the disconnect and contradictions began. "attached accessory dwelling units, and detached accessory dwelling units. Rather than multifamily housing, affordable housing opportunities, which are lacking in this neighborhood, should take the form of small cottage-style developments similar to the Snow Creek development." These statements are in direct contradiction to the single-family community that exists in Thaynes Canyon, Aspen Springs and Iron Canyon, and the existing CCR that the HOAs enforce and that the residents rely upon to ensure that their quality of life is consistent over long periods of time and different administrations at City Hall. Another contradiction is why were the HOAs not informed or invited to this process. Another contradiction is why when Mayor Williams spoke the last few years at the Aspen Springs Annual Meeting this never came up. Why, blindsided after the election and during Thanksgiving and Christmas Holidays, do we have to rush to appeal language that has been criticized by Aspen Springs and Thaynes Canyon. Please remove said language from General Plan. Please add language protecting the HOA and CCR recorded with our deeds. My family has also felt the effects of the new changes at Canyons. We moved our family skiing from PCMR several years ago because of the refreshing and exciting refinements being made at "The Canyons." At that time, when the box of goodies was opened by a season pass holder, it included two nights’ free lodging, two free family-and-friends day passes, one free ski tune, free hot chocolate for the kids, discounted food items plus a few others I can’t remember. This was substantial enough to bring a lot of locals back to the mountain. Now everything seems to have come to a screeching halt, unless we want to hop over to Michigan or Austria for the day. Not that I have anything against skiing at Mount Brighton or Verbier, but it’s obvious that this Epic Pass program is intended to entice out-of-town skiers to Canyons and not for local families that enjoy hanging out in their backyard. If you have paid attention to this year’s marketing dogfight between local resorts, their race to the bottom line is more about providing convenient local benefits and not exclusive gestures from a big box thinking, out-of-state corporate CEO. If this sounds a bit selfish, it’s because it is. I want the best value for my family’s dollar. The other important and highly recognized program which has been shelved and will most certainly be missed are the volunteer ambassadors. These were loyal people who brought a local connection to the mountain. They were moms and dads, grandpas and grandmas who gave their time to be part of something exciting and represent our community, all of it for the opportunity to occasionally come back and ski for free. They brought with them a friendly and welcoming attitude every day, no matter what. It was always a treat to ride the chair lift with a volunteer and listen to the positive things they had to say about the mountain or explain to a visitor where the best place to eat lunch was. 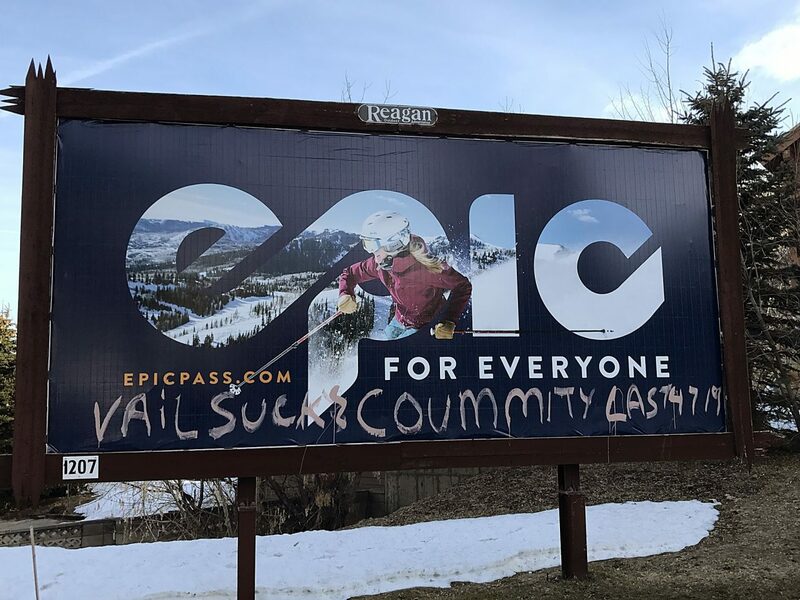 Vail’s efforts to become a good neighbor is appreciated and will certainly make a difference to someone, but this someone has two children, a mortgage and prefers to stay at home and ski the Greatest Snow On Earth. Keep it close to home and they will come or this "changing of the guard" just might come back and bite Vail.